Moments of My Life: Make Them Feel Special! Almost everyone is preparing themselves for this special occasion. In the Philippines it’s the longest holiday because as early as September people are busy with decorating their houses, business establishments, schools and everywhere you go there’s always one or two significant thing that will remind you of the coming occasion. They say it’s the most celebrated occasion all over the globe and the most festive I think because of the period people seem to allot to Christmas season. I still remember the old school days when we were all excited about giving and receiving christmas cards and the feeling of happiness whenever we receive many cards. It would always mean that many people care and love you. It’s an expression of how much someone cares about you be it from special crush, special friend, mother, father, siblings and relatives. It’s all about giving your love. The true spirit of Christmas is showing your love and giving out something of yourself be it small gift, special card or your love just as long as it comes from the heart. 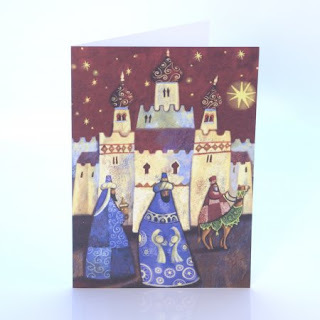 Even in these times of modern technology it’s still sweet to receive the traditional cards where we bought from bookstore but now you can order it online at ChristmasCards.uk.com. Cool isn’t it? Well for busy people it’s heaven as they can send cards to their precious friends and relatives in a much more convenient way. It can still look your own card as you can personalize it with your own words and designs. Now if you’re into saving our earth they have recycled Christmas cards which are made out of recycled papers, well that will help our environment too! So make your list now and send them early! I’m sure your family and friends will feel very special.